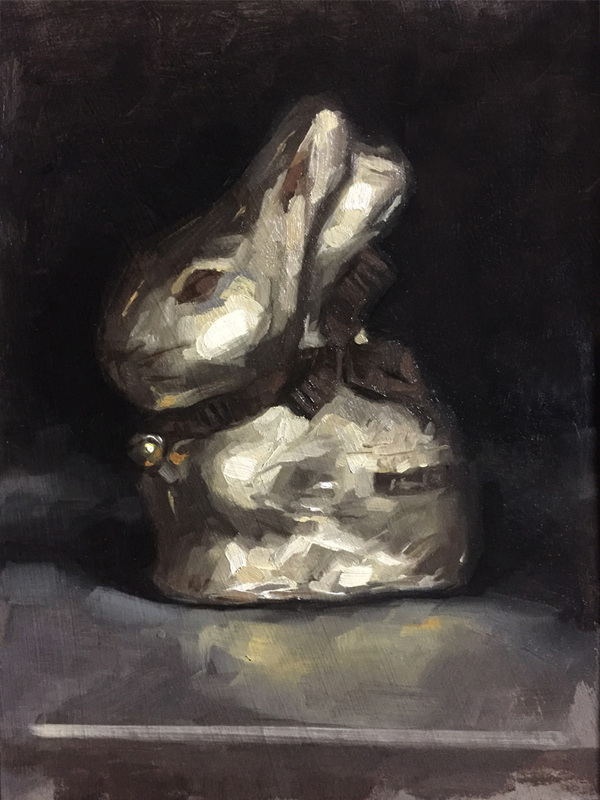 This is another painting that was completed a few weeks ago – although quite a while after Easter, which was when this Lindt chocolate bunny was bought. It took some willpower to resist eating him until he’d been immortalised in paint, but he’s all gone now. I enjoyed working on the foil texture so much, there was a real danger of overworking it. My only thought at the end was that the regular red collar of the milk chocolate version would have added a nice pop of colour. I much prefer dark chocolate though, so instead here is the brown collar of the 60 percent edition.